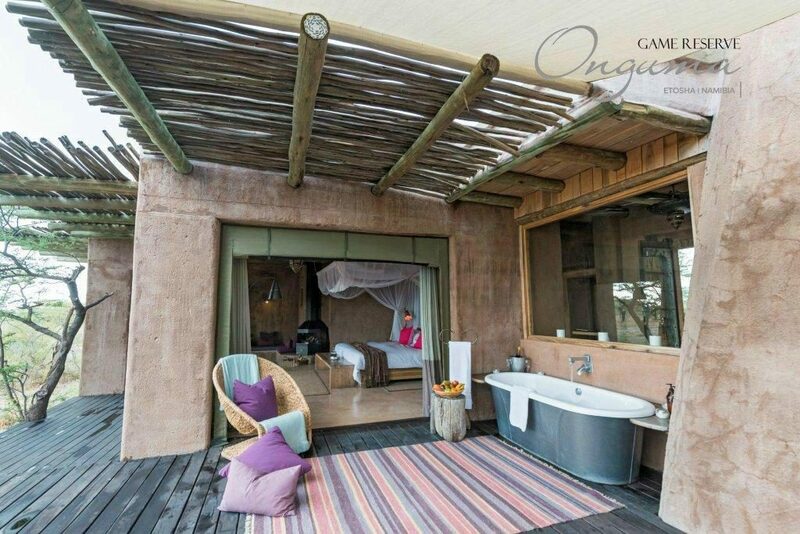 Ideal for families with children, Onguma Bush Camp offers 16 spacious rooms, with the option of family loft rooms – ideal for kids. 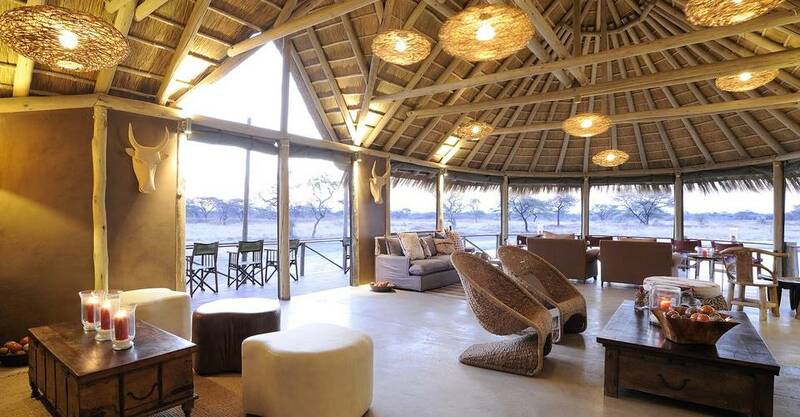 At Onguma Bush Camp, you can do all your game-viewing from the comfort of the lodge. 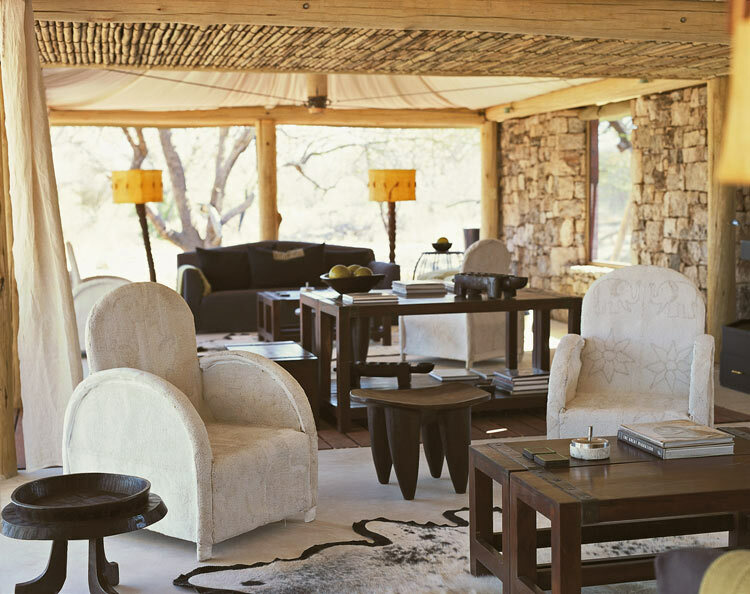 The camp’s lounge and dining area looks over a busy waterhole, so you can relax, dine, or sip on a sundowner as the animals visit. 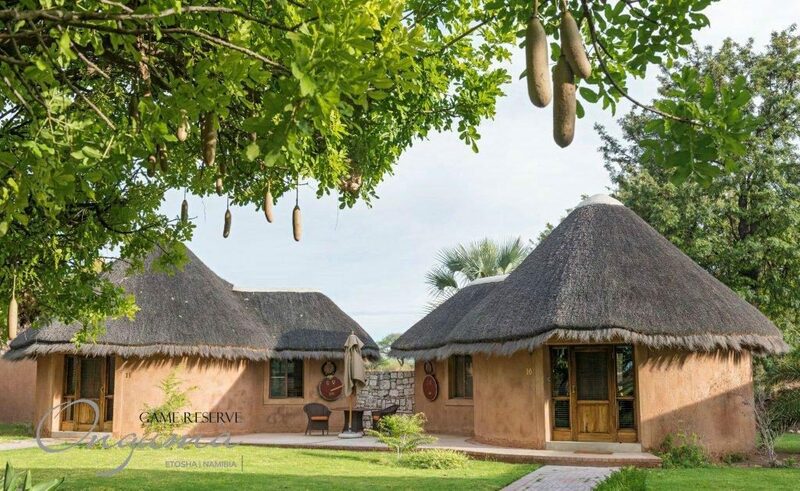 A variety of accommodation is available at Onguma Bush Camp and it’s the perfect place for some family fun, group gatherings and solo travellers with a total of 16 rooms to choose from. 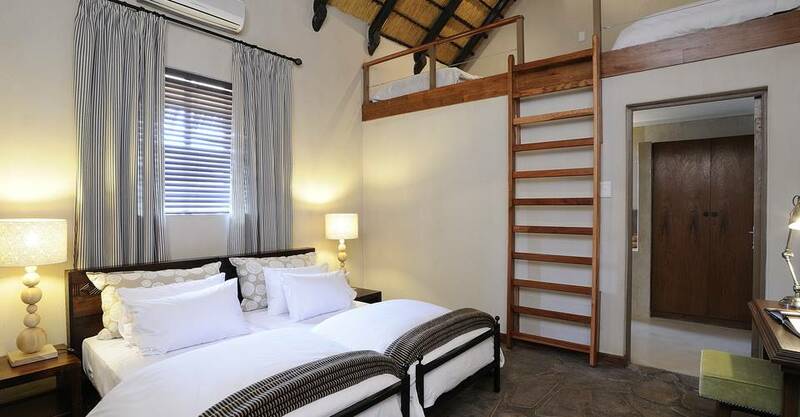 There are five twin-bedded Standard Rooms of which three rooms have a children’s sleep area in the loft. 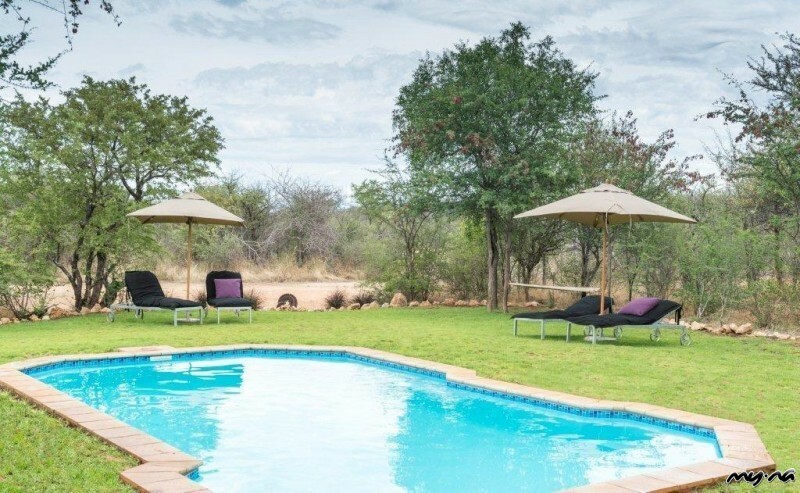 The Twin-bedded Waterhole/Pool-Side Chalets offer amazing views and boast an en suite bathroom. 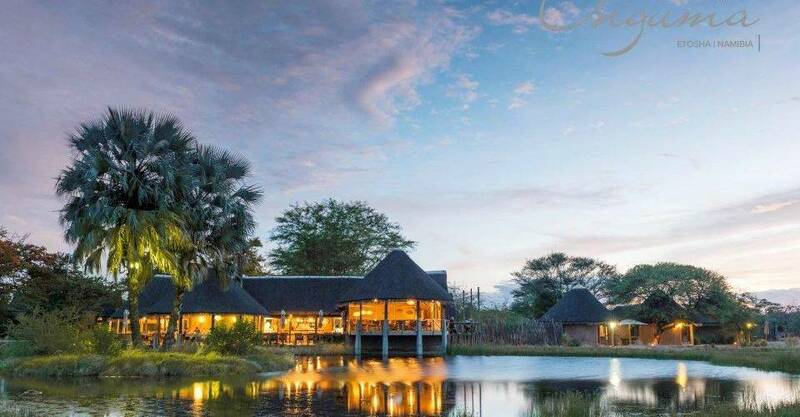 One of the three Rondavels is the perfect place to relax and unwind. The Family Unit is fitted with four beds, perfect for those groups and families with children. 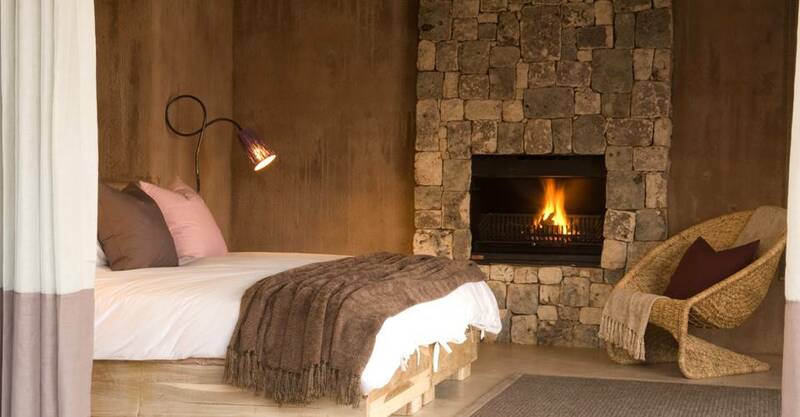 The Settler’s Room or Honeymoon suite is equipped with a small seating area, as well as an en-suite bathroom. 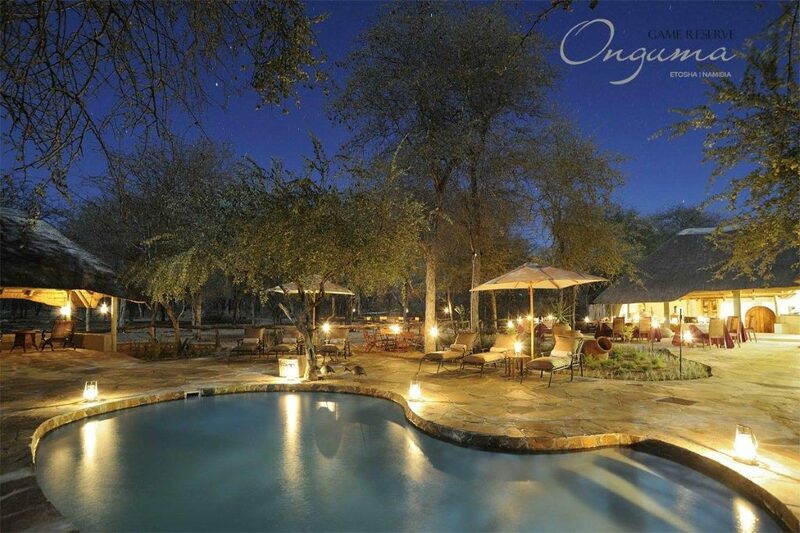 Onguma is a native word that translates to “the place you don’t want to leave”. 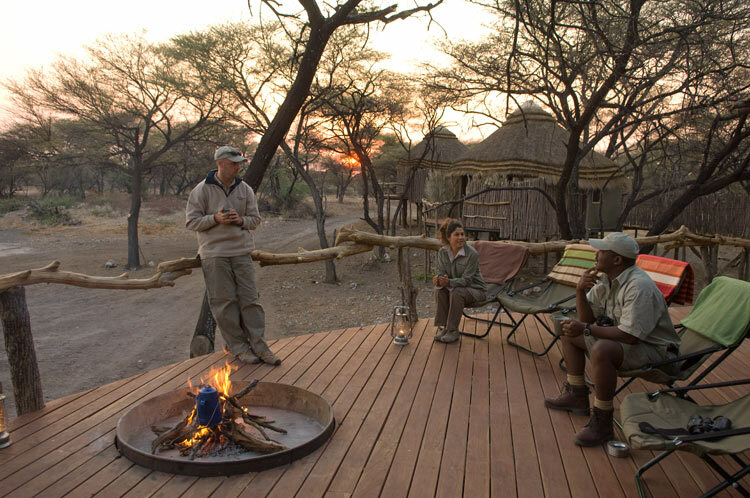 The camp offers a mixture of an earthy, sophisticated and relaxing environment. 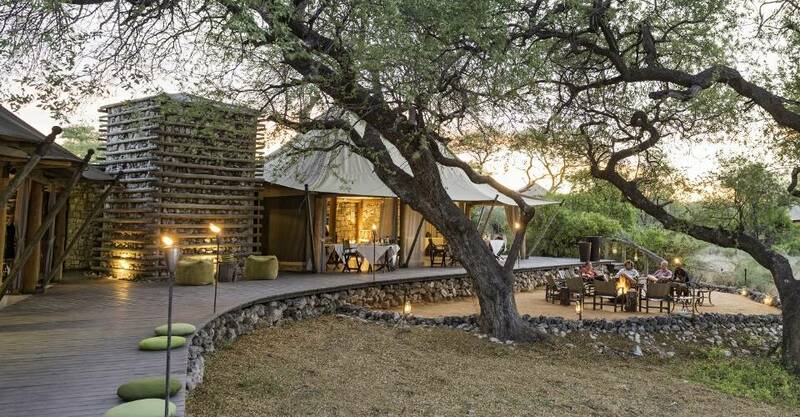 The seven luxury tents have been designed to incorporate textures such as stone, suede, linen and steel, and in an array of natural colours, all adding to the earthy atmosphere. 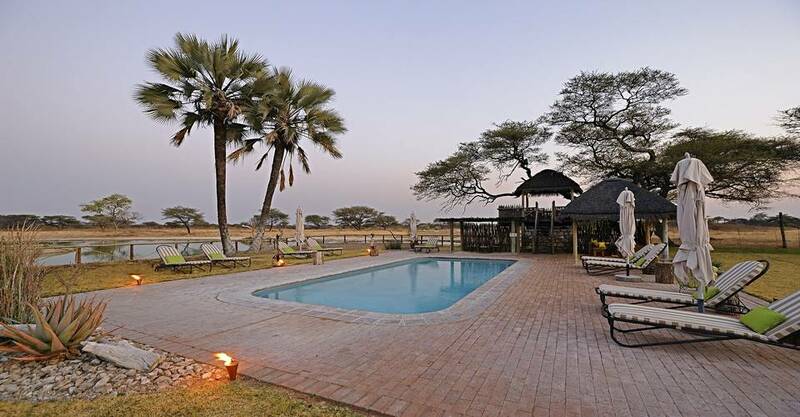 Spend long lazy afternoons watching the wildlife at the nearby waterhole or having a dip in the swimming pool. You can also make use of the private patio to relax or read a book. 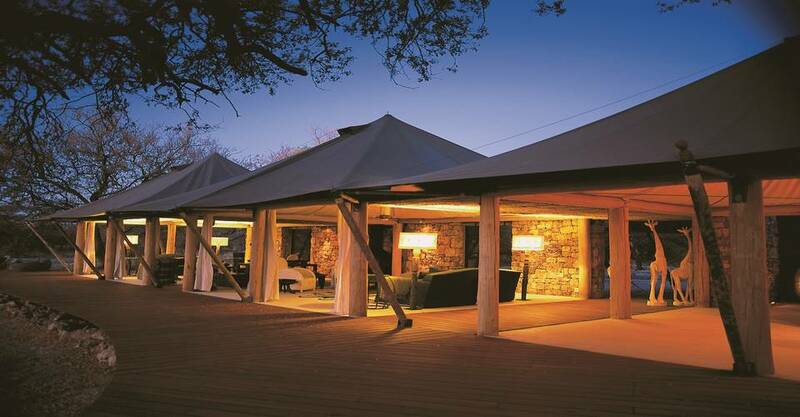 The tents are laid out in a u-shaped pattern, offering guests extra privacy and amazing views. 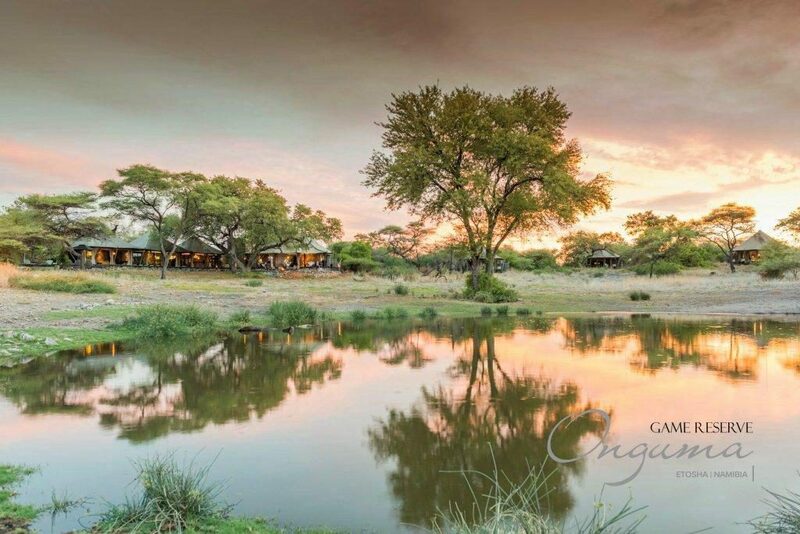 The seven luxury tents are built around an active waterhole, which makes for great entertainment. 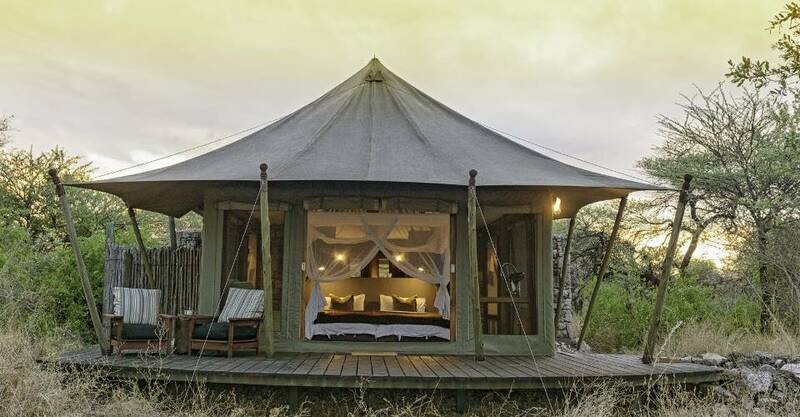 The Luxury Tents feature twin beds and an en-suite bathroom that comes with an indoor and outdoor shower. 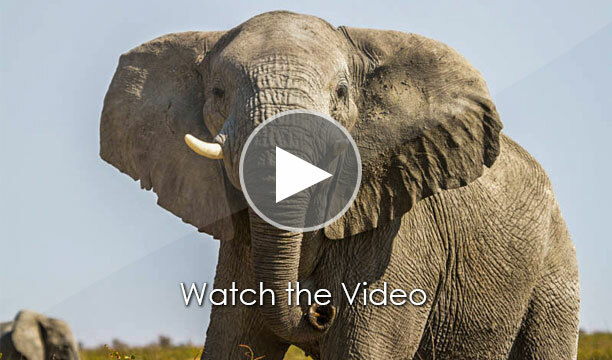 Yearning for an authentic bush experience? 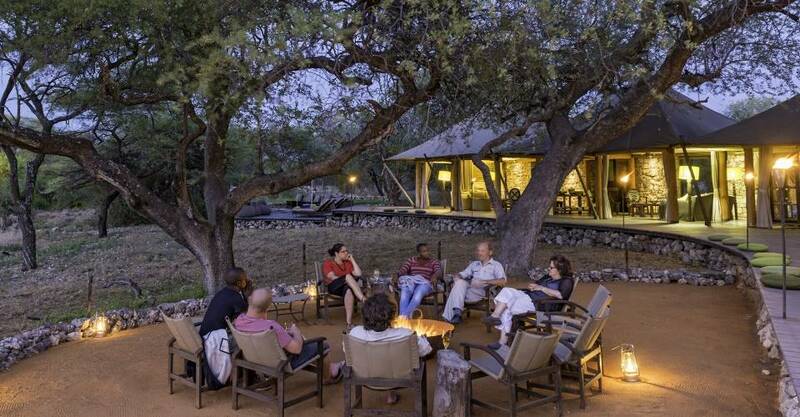 Come and enjoy Onguma Tree-Top Camp which offers travellers a chance to unwind and relax in the heart of the bush. 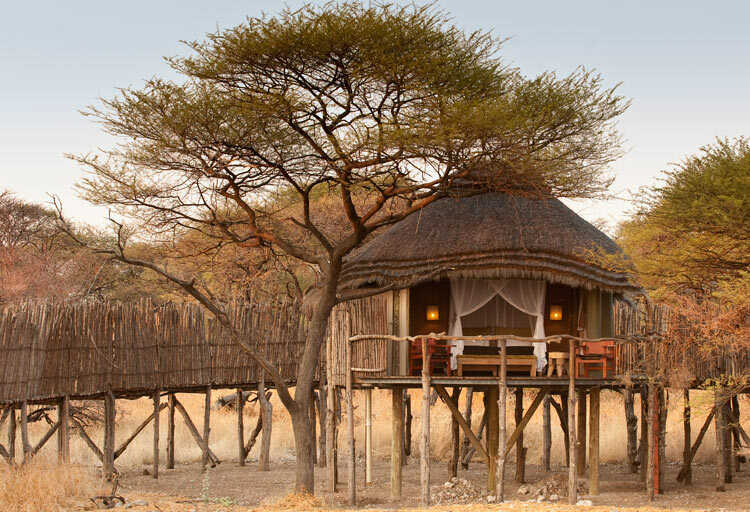 Built atop wooden stilts among the tree tops, the camp overlooks one of Onguma Game Reserve’s most beautiful waterholes, offering multiple and diverse wildlife encounters and sightings. 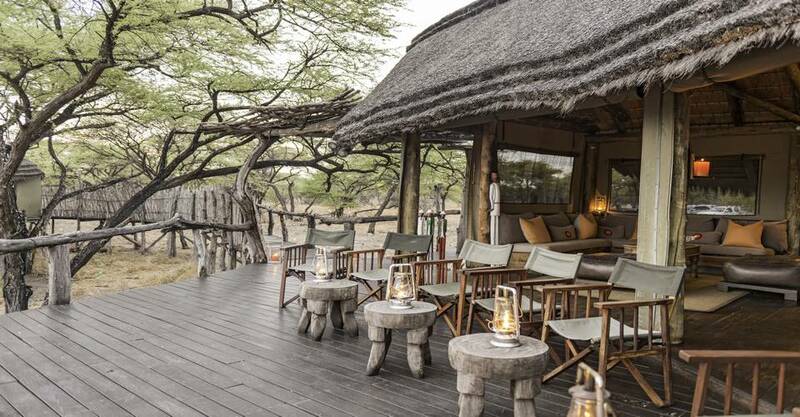 The tents are raised on wooden stilts among the tree tops, creating spectacular views. 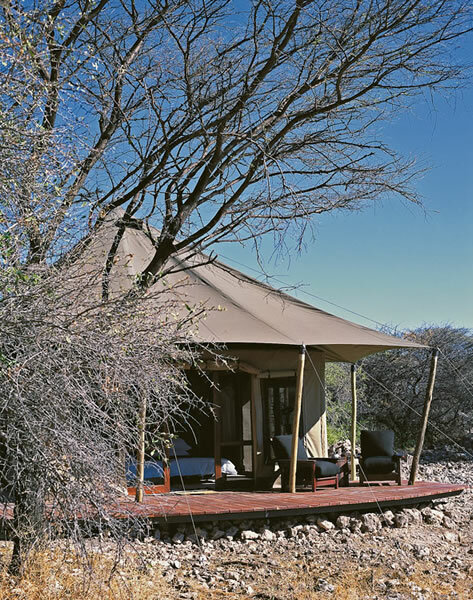 The Stilted tents can accommodate between four and eight guests and feature twin-beds and an en-suite bathroom and private deck. 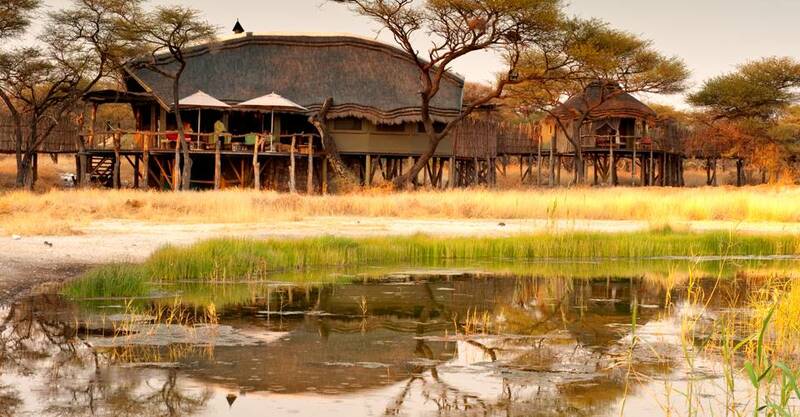 The Fort in Onguma Nature Reserve is perfectly placed, overlooking a beautiful stretch of the Etosha Pans. 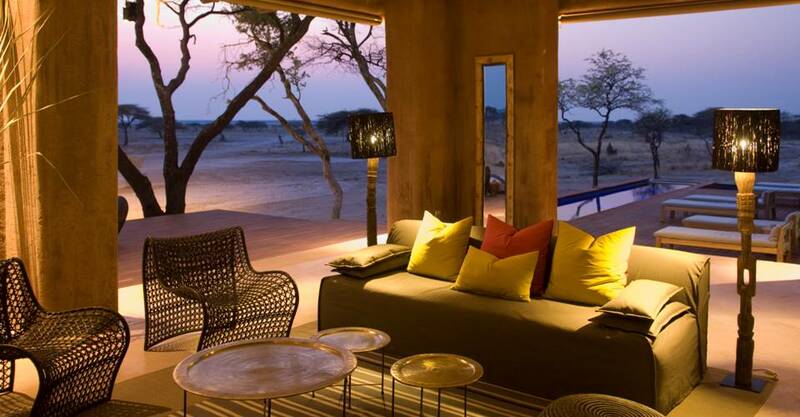 Surrounded by hundreds of beautiful camel thorn trees, the Fort offers a blend of Moroccan and Indian design. 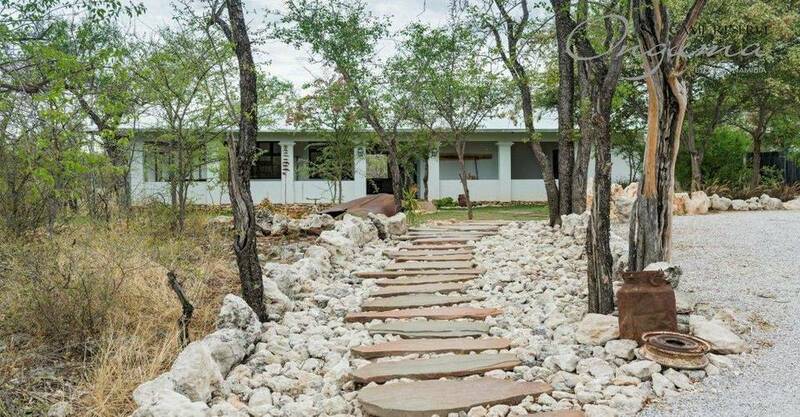 Accommodation is offered in 11 bush suites that can accommodate up to 26 guests. 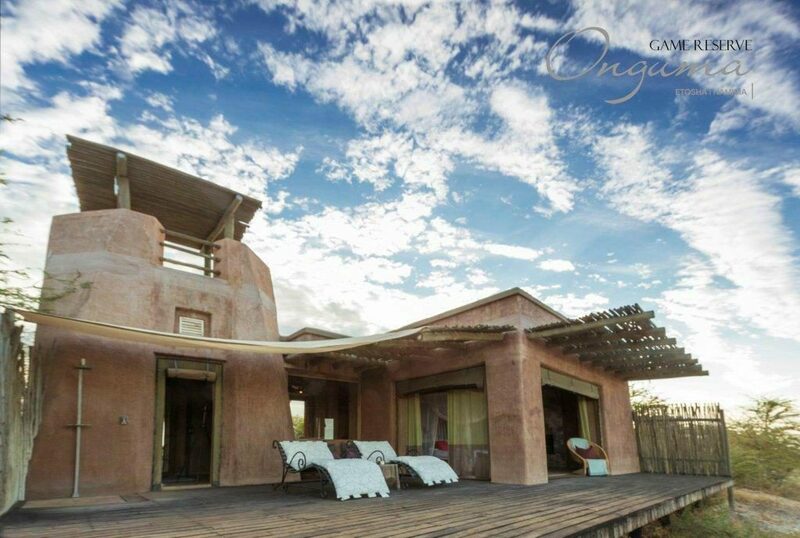 Each suite has its own en-suite bathroom as well as an indoor and outdoor shower. 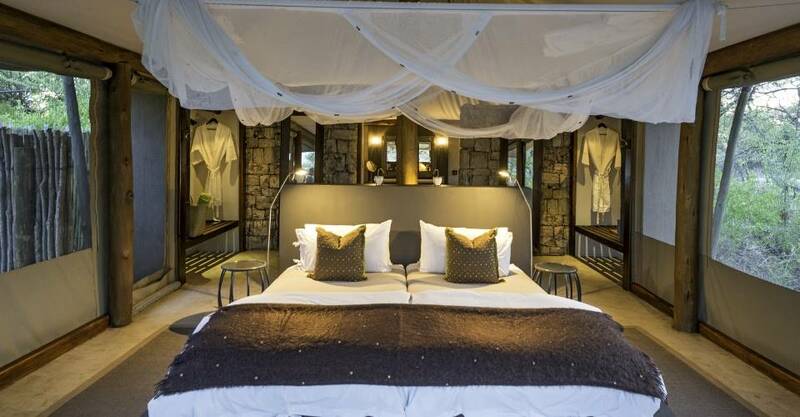 The Honeymoon Suite is fitted with an en-suite bathroom but also offers an outdoor shower and outdoor bathtub. 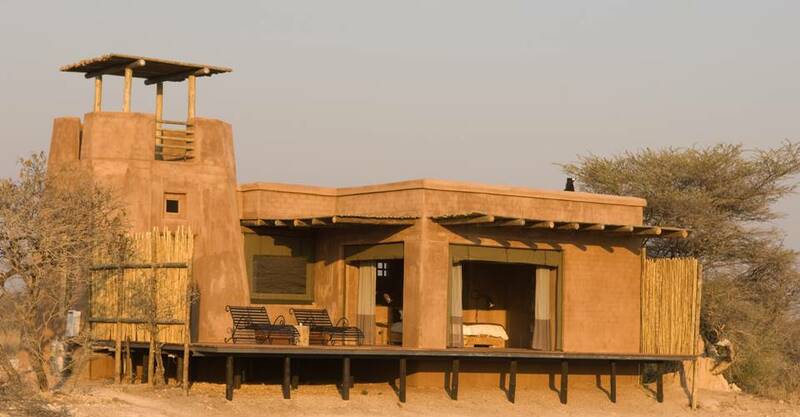 The Sultan Suite is located on top of the main fort and provides magnificent views from the outside deck. 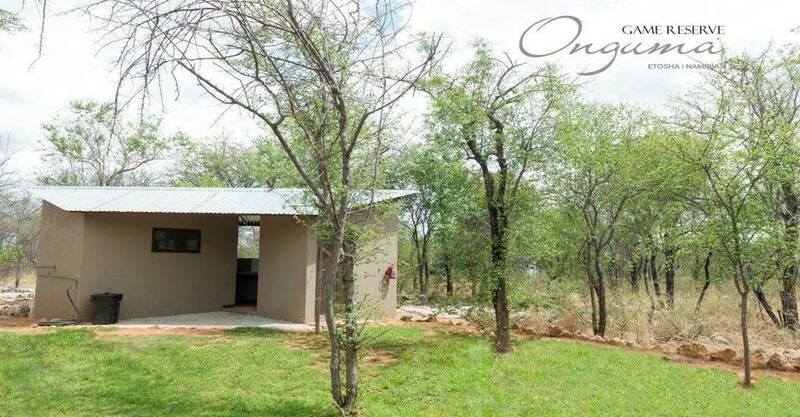 It also comes with an en-suite bathroom, as well as indoor and outdoor shower. 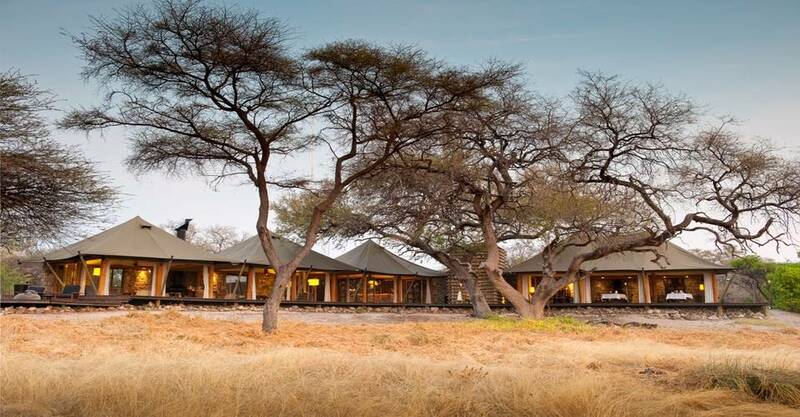 ‘Aoba’ derives from the traditional San language and translate to “where the sun goes down.” Built along the dry Omuramba Ovambo riverbed, Etosha Aoba Lodge is a traditional bush lodge and the perfect destination for relaxation. 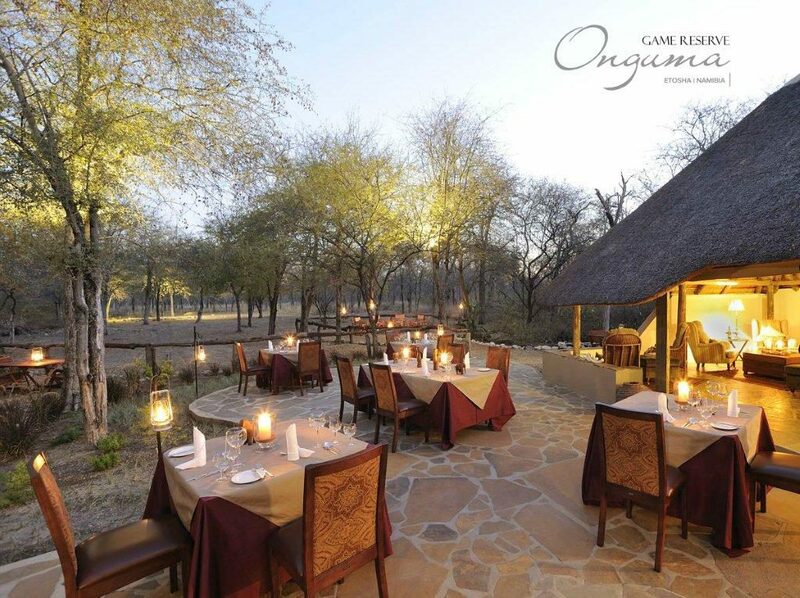 Apart from being immersed in the splendor of nature, the warm hospitality, delicious cuisine and excellent selection of wine in the fully stocked cellar will make you feel right at home. 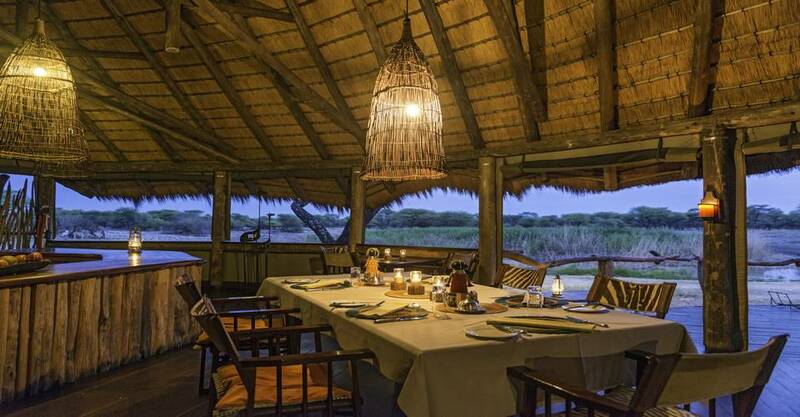 You can even dine under the stars at night, watching as wild animals gather at the watering hole. 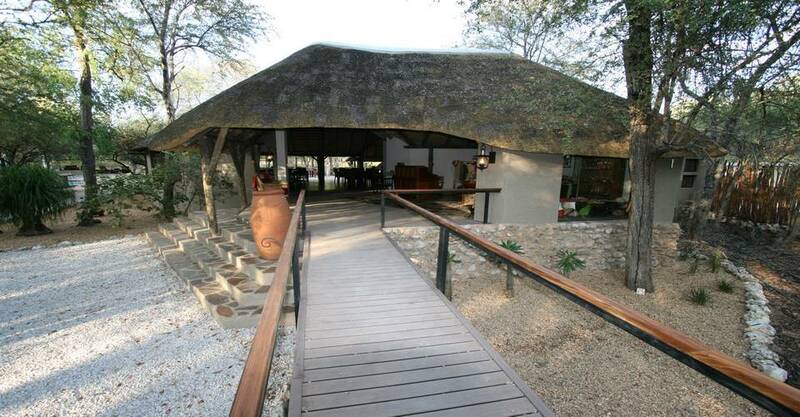 A total of 11 thatched bungalows allow the Etosha Aoba Lodge to accommodate up to 28 guests. 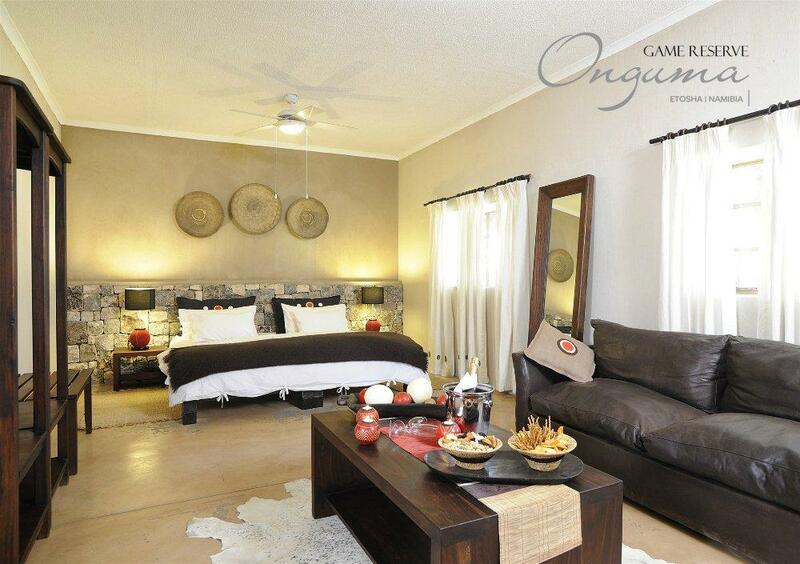 Four free standing Heritage Bungalows offer maximum privacy and comfort and include en-suite bathrooms. 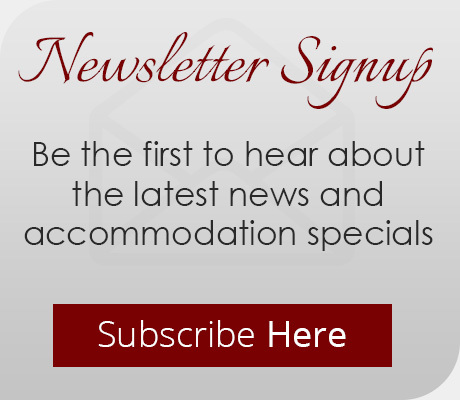 The three Bush Suites are the perfect rooms for families or groups sharing, with two bedrooms and an en-suite bathroom and shower. 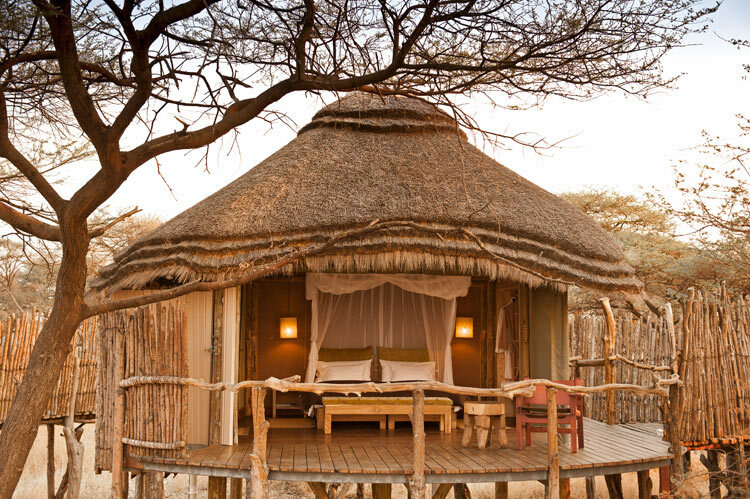 Three new thatched Explorer Bungalows include their own en-suite bathrooms with a private patio. 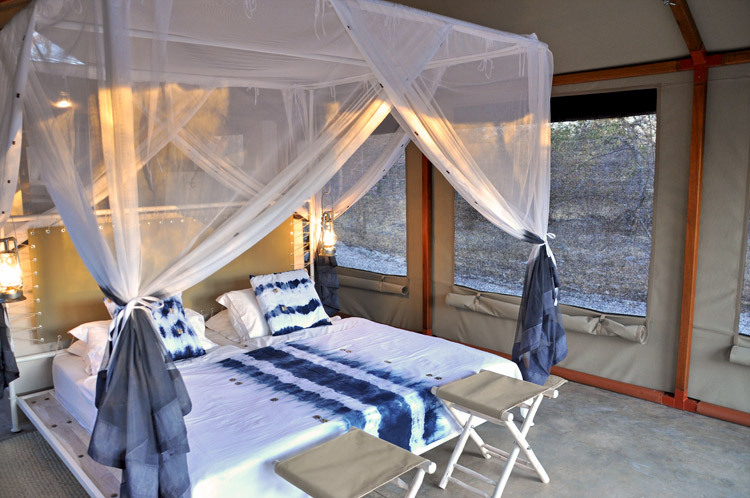 The Honeymoon Bungalow also features en-suite bathrooms with a private patio and includes an outdoor shower and bath. 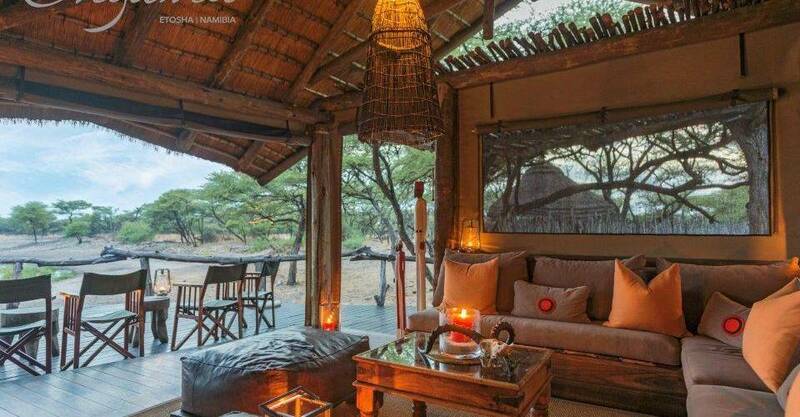 Immersed in the Onguma Reserve bush, this luxury campsite affords privacy and space. 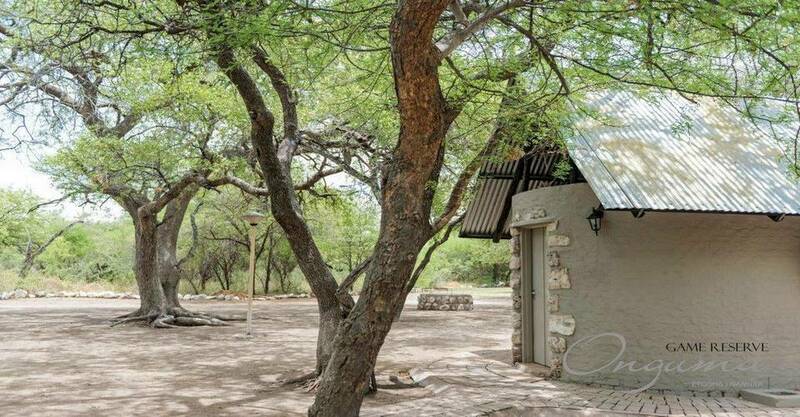 Each of the 15 sites have their own private ablution facility with spacious shower rooms, a separate toilet, a covered washing-up area, and power points. 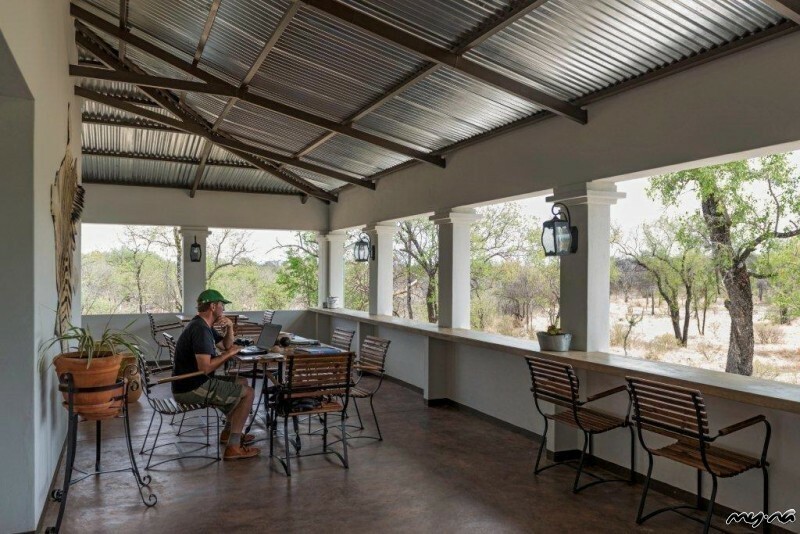 You can enjoy a meal at the main area while watching the wildlife gather at the waterhole or enjoy the shade of one of the verandas that are dotted throughout the camp. There is also a well-stocked supply shop should you find yourself running a low. 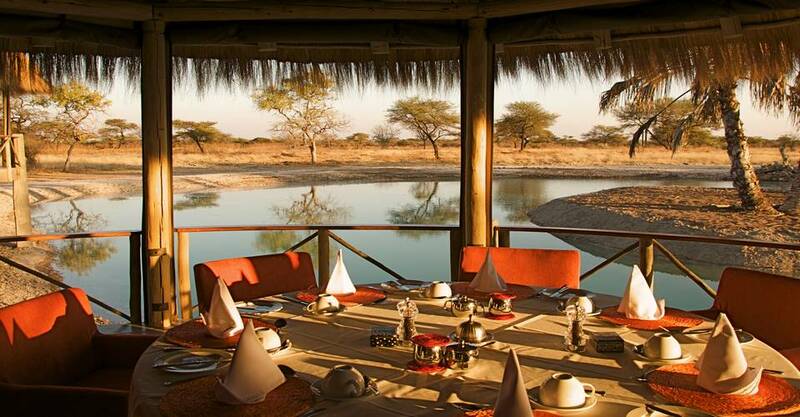 With 15 campsites immersed in the bush, this is an ideal safari and bush break. 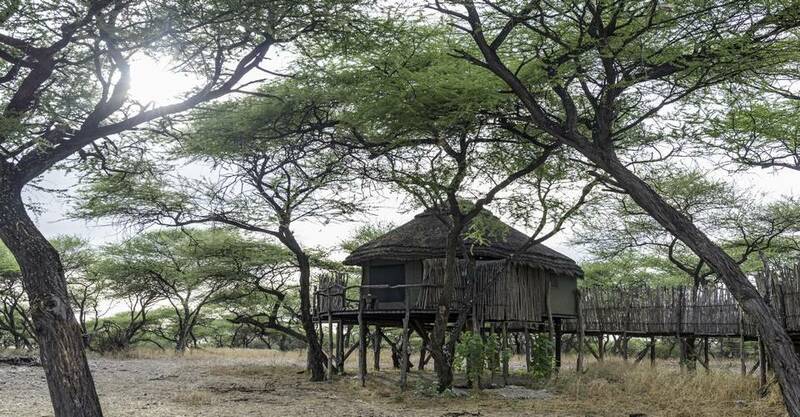 Leadwood Campsite offers private and shaded sites ideal for an exclusive bush experience near the Onguma Bush Camp. Each site has its own shower room, toilet and washing-up area, and there are plenty of shady trees spread throughout the camp. If you really want exclusivity – you can book all six sites enjoy the campsite with friends and family, or even by yourself! 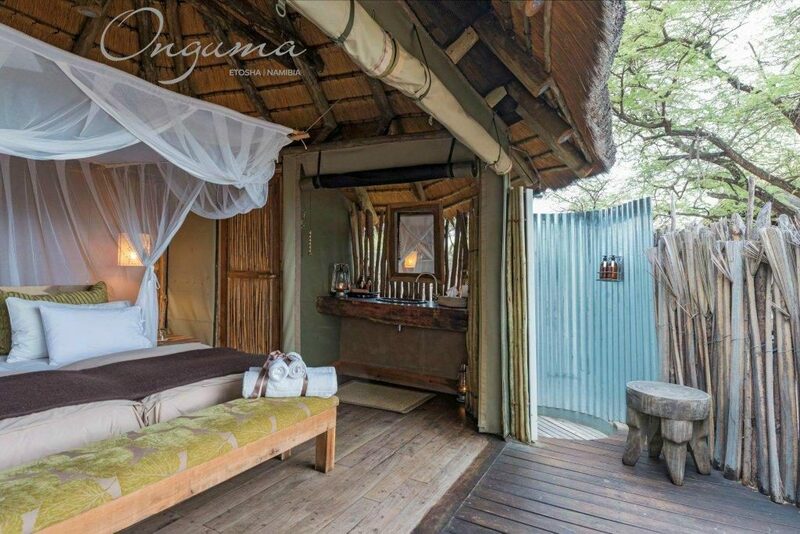 The Onguma Leadwood’s six campsite stands embrace the bush and the ultimate safari experience. 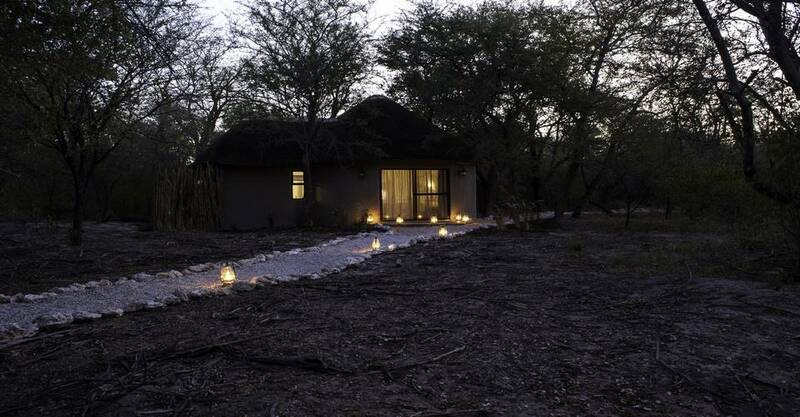 Six campsites are available, and each include their own individual and private ablution areas.